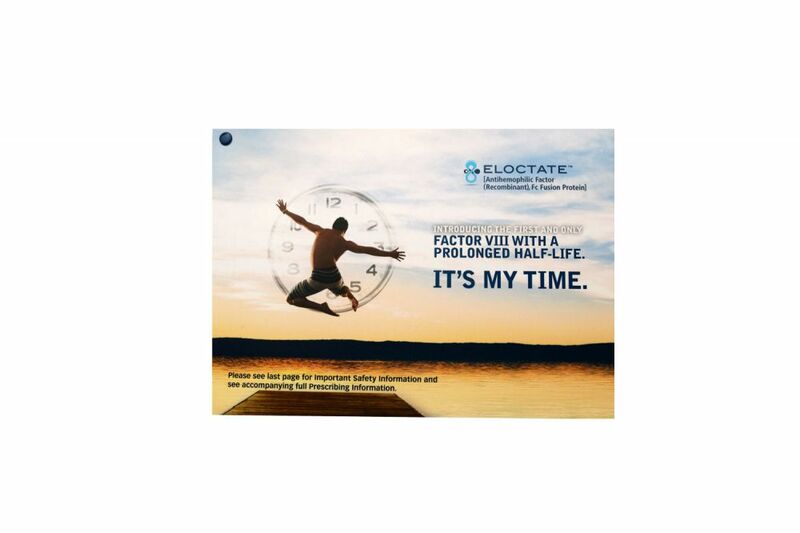 When Biogen was ready to launch a promotional campaign of their new treatment, Eloctate, one of the objectives of the campaign was to provide critical info about the new treatment to doctors and patients in an efficient and cost-effective way. 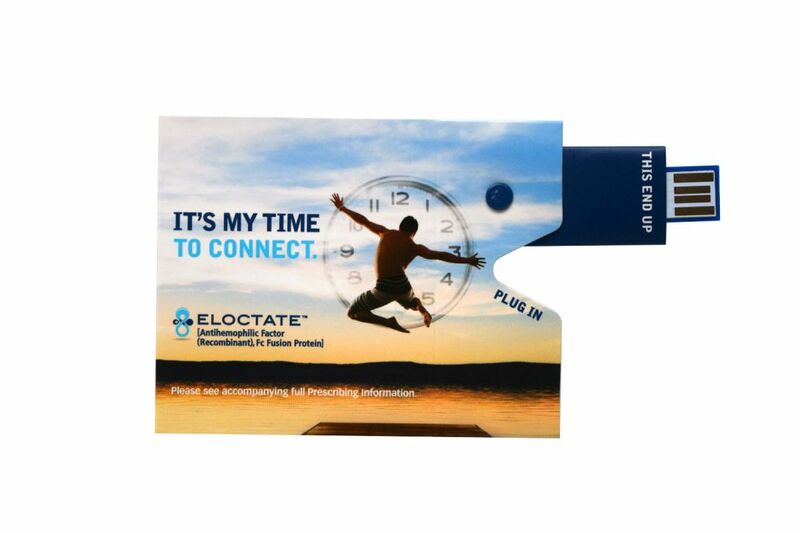 The key objective was to drive their target audience to their website for additional information and content about the new treatment and to have them sign up for the Eloctate welcome kit. 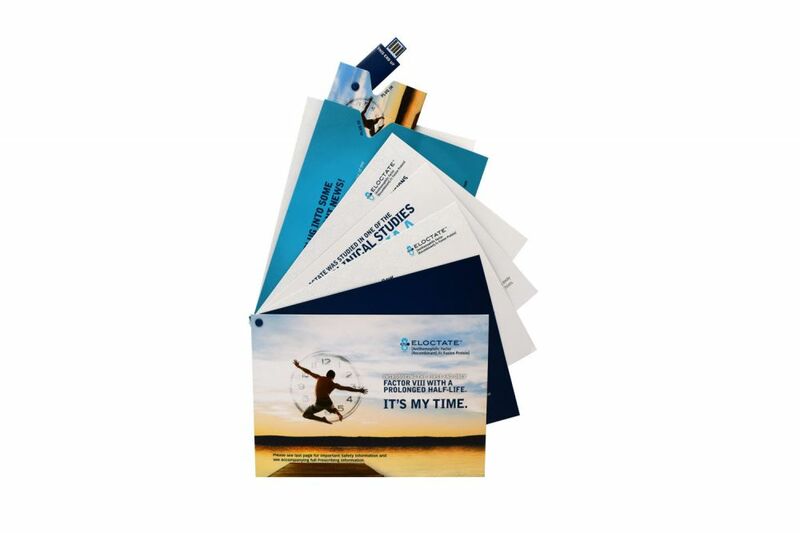 To meet their key objective, the Biogen team decided to go with a direct mail campaign that utilized Americhip's Webkey technology. Webkeys were an ideal tool to drive interested parties directly to Biogen's website which had comprehensive information that was focused on the new treatment. 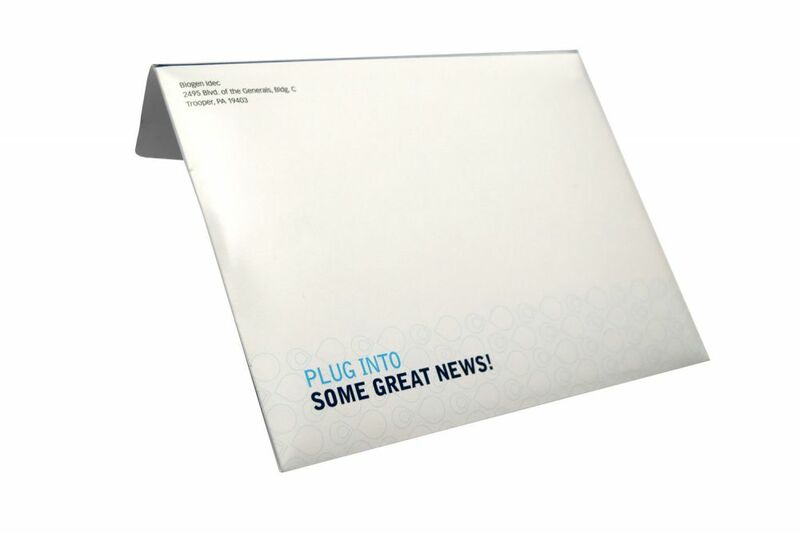 The direct mailers were not your standard format brochure or pamphlet, but Americhip's proprietary "Selector" direct mailer with a special pivot mechanism that allowed readers to digest information similar to viewing flash cards. The direct mailer eventually led readers to a pull-out webkey that literally allowed them to "plug into some important news" about the new treatment as well video content, answers to FAQs, important patient preparation information and most importantly, a call to action to sign up for their welcome kit. As an added feature, the piece also included Americhip's Data Tracking and Analytics capabilities which allowed the Biogen team to track results of the direct mail campaign. Americhip's Webkeys generated a 34% response rate for the Biogen team which was 10x the national average*. The campaign yielded an impressive return on both investment and objective.